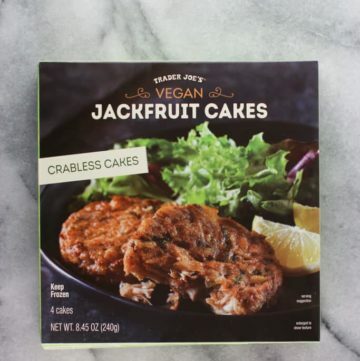 Trader Joe's has some solid options for those who are vegan. But quality can vary, fortunately, that's why you have this site! 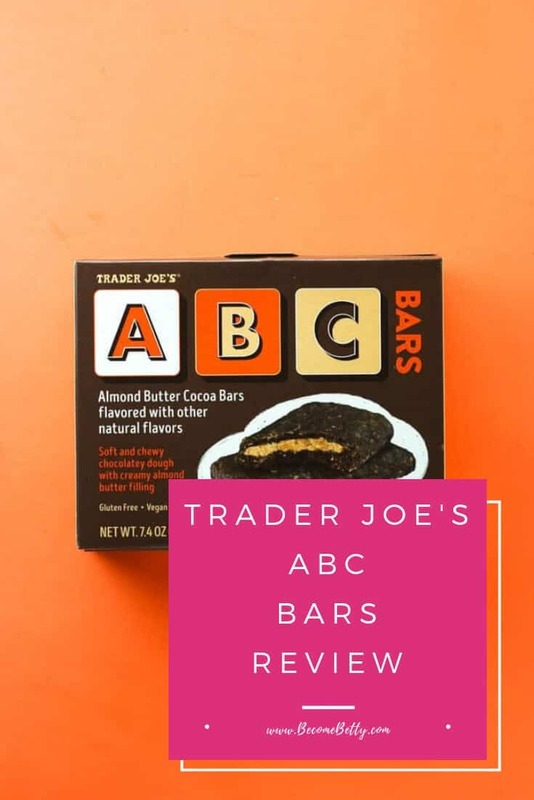 From ABC Bars to the Miso Ramen Soup to their very popular Soy Chorizo find hundreds of reviews of Trader Joe's vegan products and see which ones are worth your time and which ones you may want to consider leaving on the shelf! 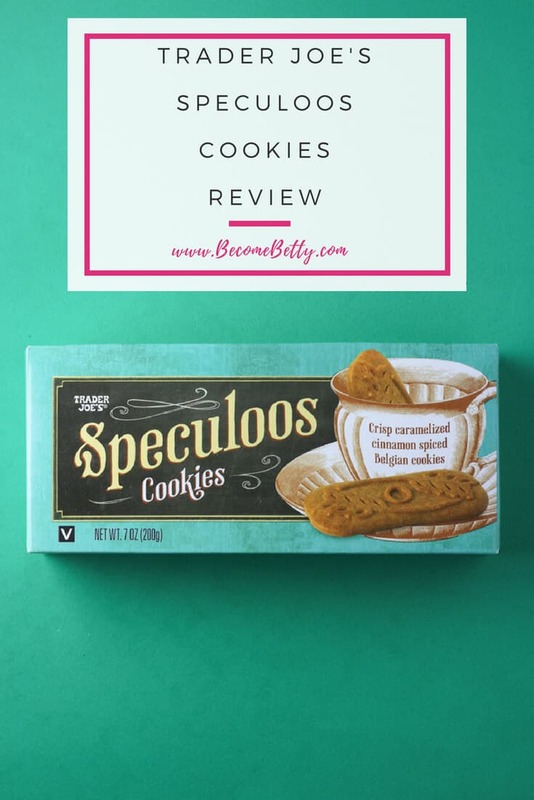 Vegan cookie review part deux. 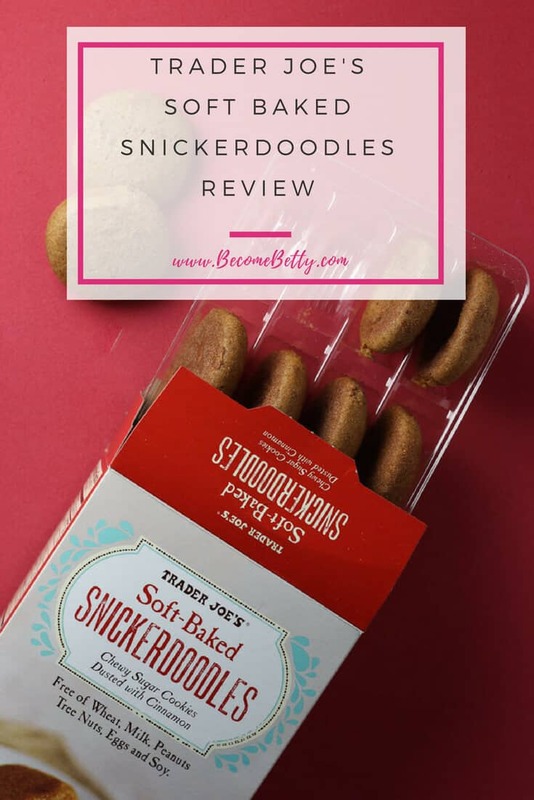 I figured these cookies need separate reviews. 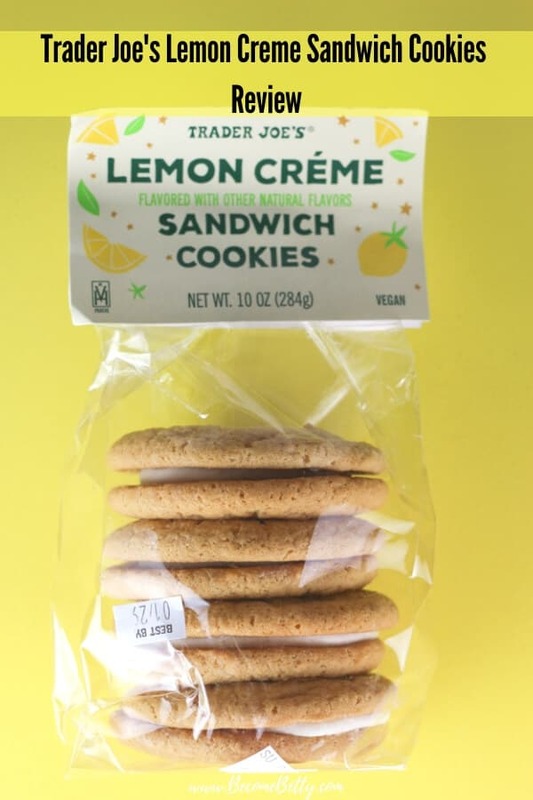 This cookie right here has certain similarities to the lemon variety like the fact it’s vegan, the cookies are huge, and they are new to shelves. However, the taste on these are quite different. 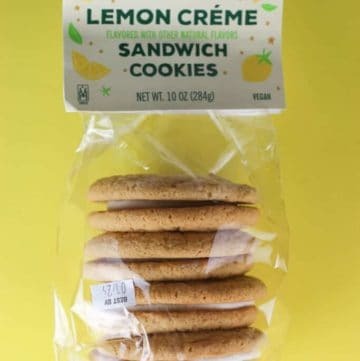 Consider this a brief lemon theme between these cookies and a recent review of a candle. 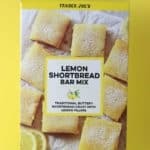 But on my most recent shopping trip there were a few new items hiding in the fresh breads and desserts aisle. In my local store, that happens to be right when I walk in. So grabbed both and hoped for the best. 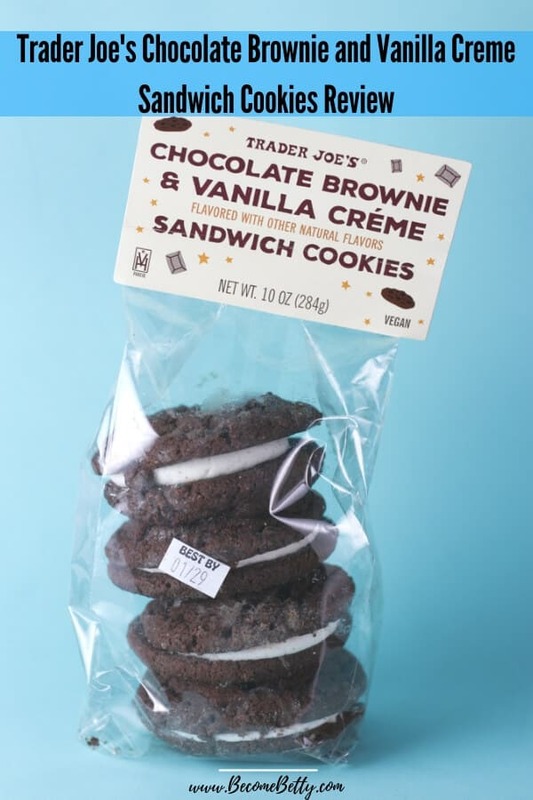 The other variety is a brownie cookie, but that will have to wait for a different review. Does anyone else celebrate Taco Tuesday? I think we celebrate it on a lot of days during the week. I have a soft spot for nachos in particular. Who doesn’t love cheesy chips? I adore them. 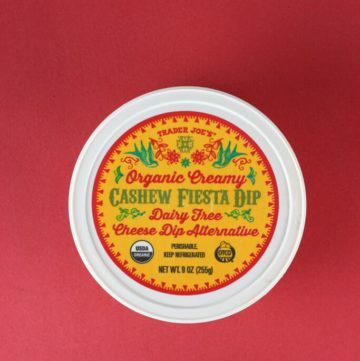 Just not Trader Joe’s Queso Dip. 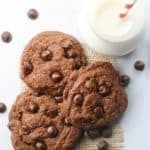 One of the cardinal rules of a dip is that it should never be watery or thin. 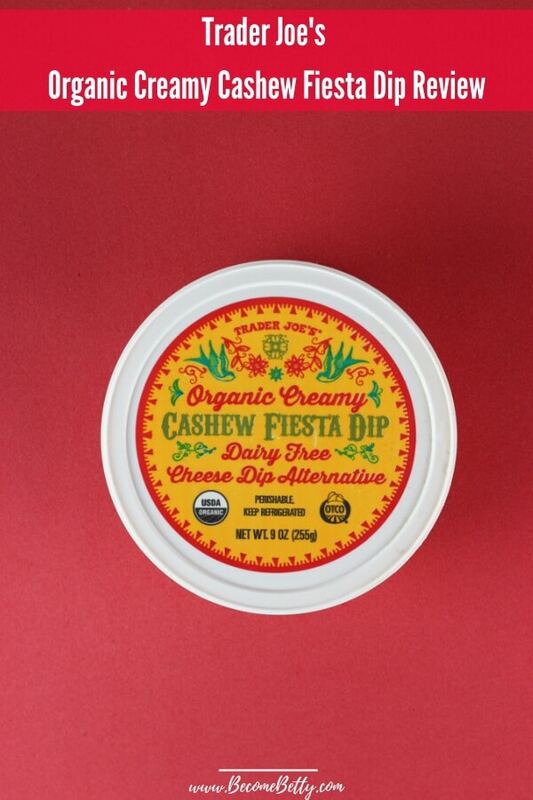 This vegan dip does a better job of being cheesy than queso. So here is a returning classic that hits shelves before Thanksgiving, but in my store these hang around until the start of the new year. 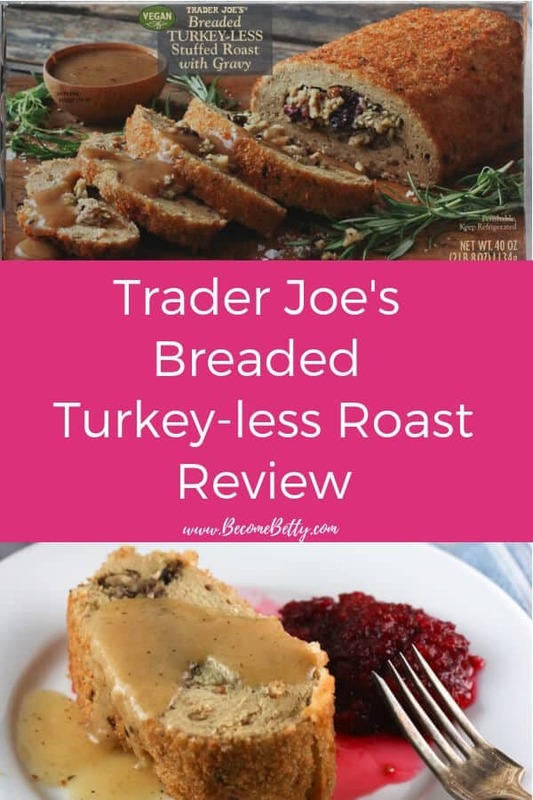 So while the turkeys might be gone, these vegan turkey-less roasts are there for the vegan or people who prefer to enjoy less meat at the dinner table. 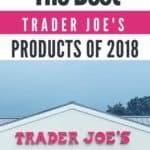 Cookie Butter had its year. I’m pretty sure 2018 was the year of Cauliflower. Are we seeing Jackfruit as the food item of the year for 2019? Perhaps, but time will tell. And it will all be based on how good the products coming out are. 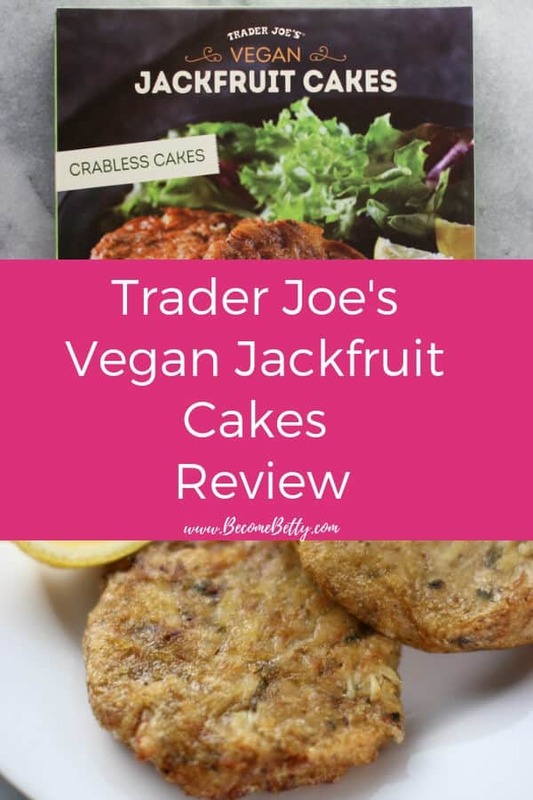 But for right now, there is now an additional frozen item that has jackfruit in it. 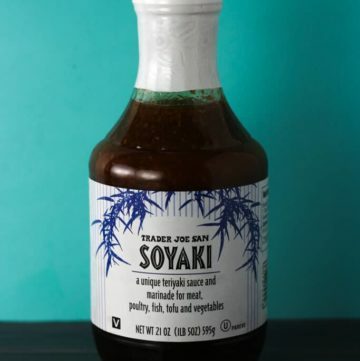 The pros: Trader Joe’s Soyaki is the best of two worlds: soy sauce and teriyaki. 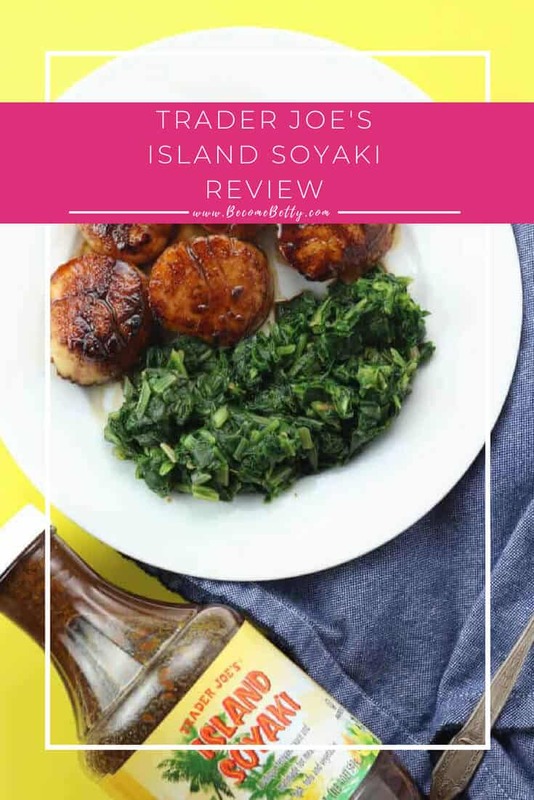 Yes, this is the viscocity of soy sauce with many of the flavors of a teriyaki. The cons: The sodium is quite high in this. In fact, 1 tablespoon is 21% of what you have in a day. When I’m marinating something, I never use a tablespoon. 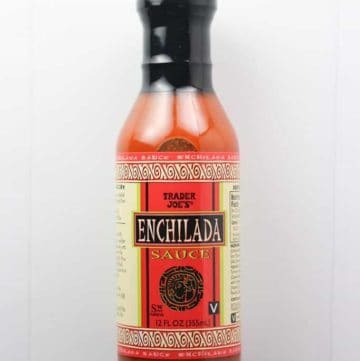 The pros: Trader Joe’s Enchilada Sauce is a staple item in my household and makes for a quick and flavorful meal. The cons: The directions add extra steps which can be skipped with minimum consequence. 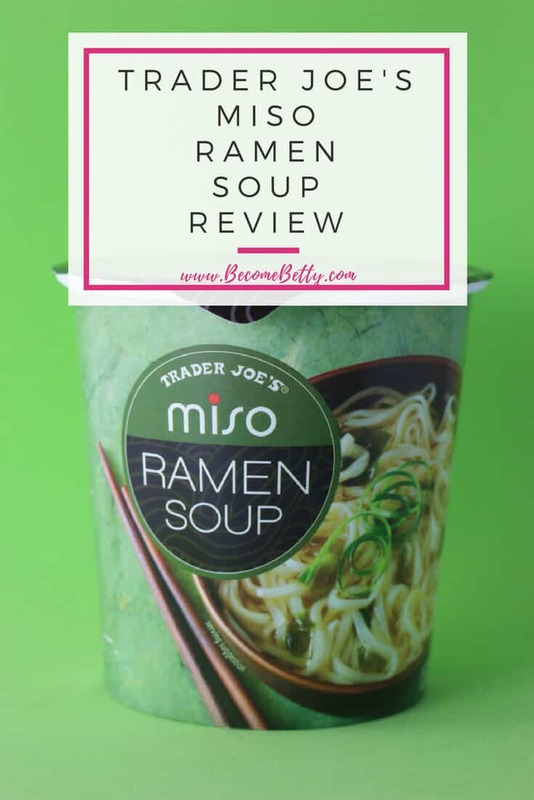 The pros: Trader Joe’s Miso Ramen Soup is one of two new soups, but this one is vegan, filling, and does not taste quite as salty as some other ramens that I have had. 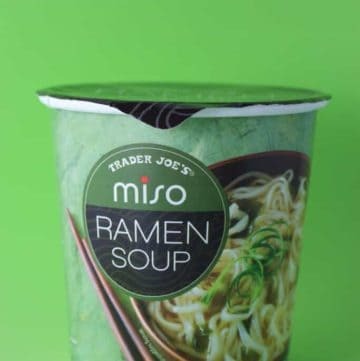 The cons: Not as cheap as the 4/$1 ramens, but those don’t come with their own microwave safe cups. Also, when I had my second cup, it did not contain an oil packet. 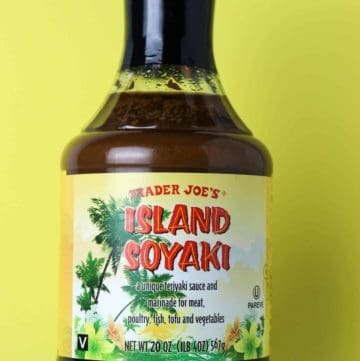 The pros: Trader Joe’s Island Soyaki is different from other teriyaki sauces on the market and slightly different than the similar sounding Trader Joe’s Soyaki. 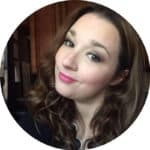 The cons: If you don’t like pineapple, then you should skip this item. This also tastes very salty, so you might be better off using this sparingly if you are going to marinade something. 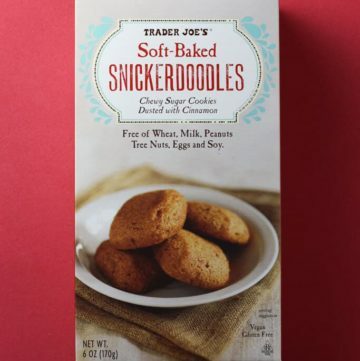 The pros: Trader Joe’s Soft Baked Snickerdoodles are delicious on their own, but it’s very clear there is also a targeted audience: people with allergies. 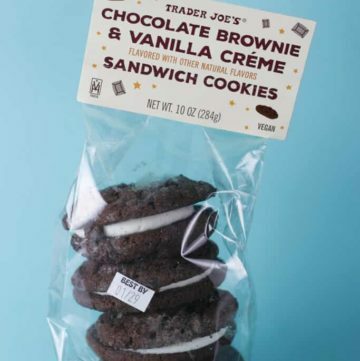 The cons: If you like crisp cookies, then you won’t want to pick this up. 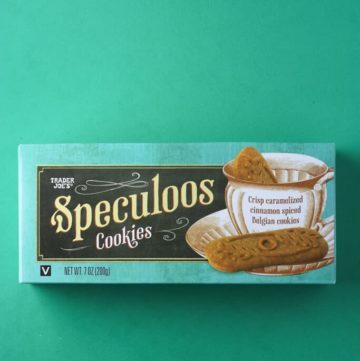 Box only contains 12 cookies. 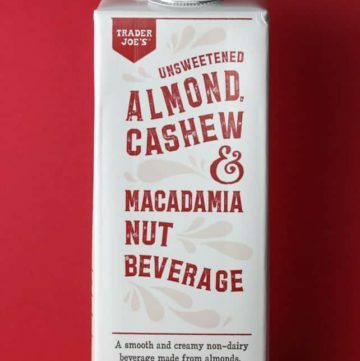 The pros: Trader Joe’s Unsweetened Almond Cashew and Macadamia Nut Beverage is a new addition to a growing line of shelf stable, vegan, soy free, dairy free, and gluten-free options. 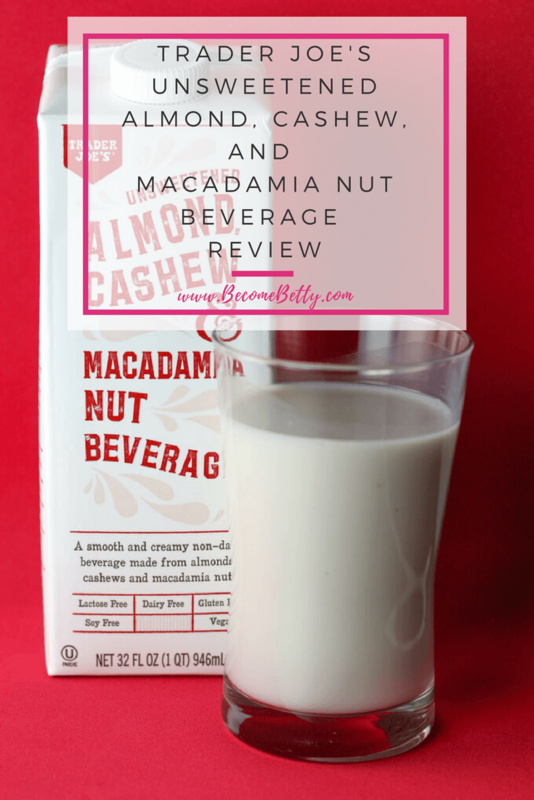 The cons: Depending on how sweet you like your nut milk might dictate how much you might end up liking this. 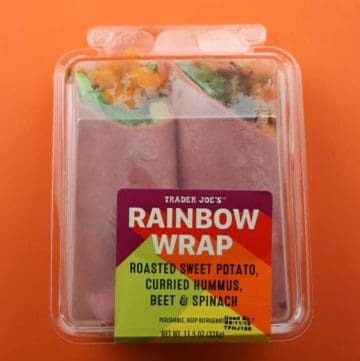 The pros: Trader Joe’s Rainbow Wrap is a new and a vegan addition to the refrigerated aisle. The cons: The calorie count is pretty darn high on this one. 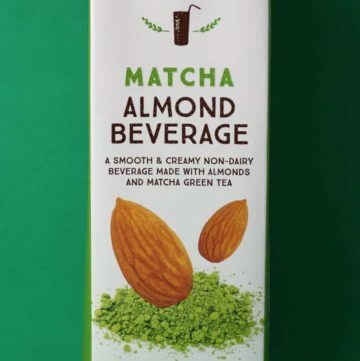 The pros: Trader Joe’s Matcha Almond Beverage is new to shelves. This is a half way point between a the canned matcha beverage and a matcha latte in terms of sweetness. The cons: If you are not a matcha fan, then this is probably a flavor you can skip. 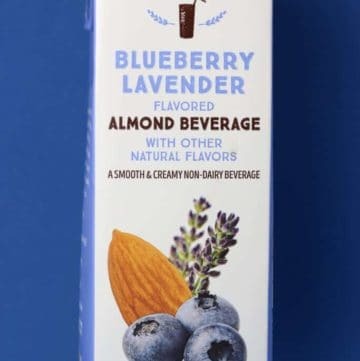 The pros: Trader Joe’s Blueberry Lavender Flavored Almond Beverage is a new seasonal gluten-free, vegan, dairy free, kosher, shelf stable almond beverage flavor that has nuances of both blueberry and lavender that are very subtle. 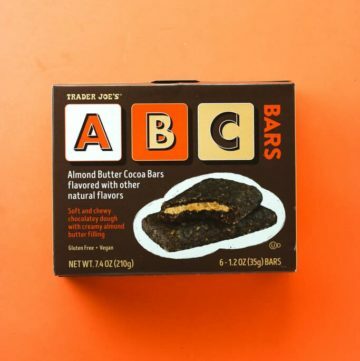 The cons: There is a direct correlation between how much blueberry flavor you are expecting and how happy you will likely be with this product. 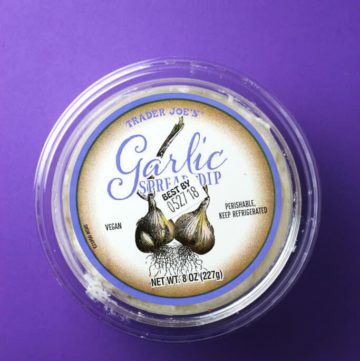 The pros: Trader Joe’s Garlic Spread Dip is a hidden treasure in the refrigerated aisle. The cons: The calorie count is equivalent to eating mayo. 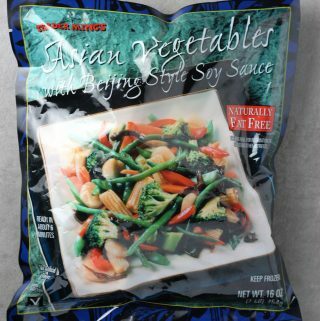 The pros: Trader Joe’s Asian Vegetables with Beijing Style Soy Sauce is a solid blend of Asian veggies with a thick and flavorful sauce. The cons: Nothing stands out. 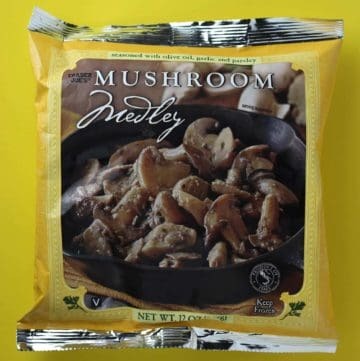 The pros: Trader Joe’s Mushroom Medley are quick and easy mushrooms that can used in place in of freshly sautéed mushrooms. 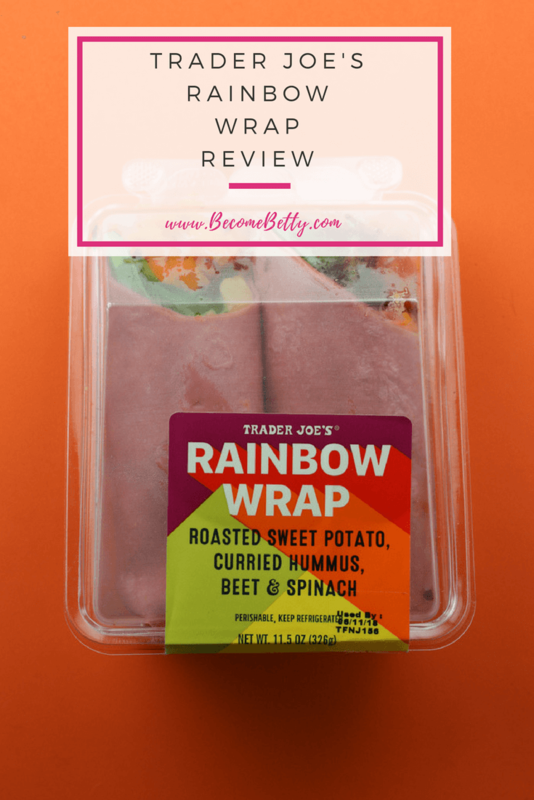 The cons: Not as low-calorie as some other frozen vegetable options, but not terrible either. 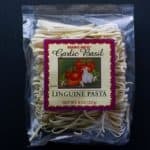 They are simple in flavor as they only contain mushrooms, olive oil, salt, parsley, and garlic. 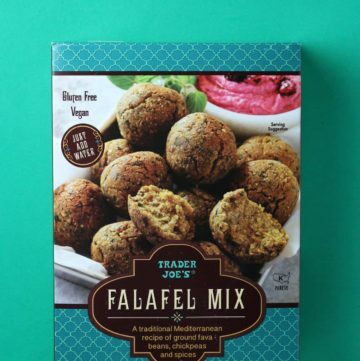 The pros: Trader Joe’s Falafel Mix is a new mix that is vegan and gluten free and very easy to prepare. 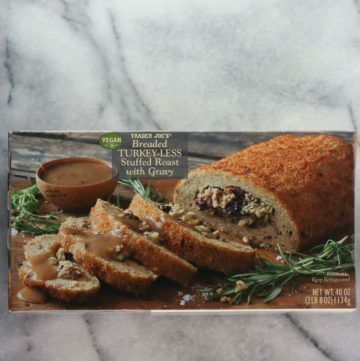 The cons: You won’t be able to make this instantly as the box requires you to wait 30-60 minutes before cooking. You can’t skip this step. 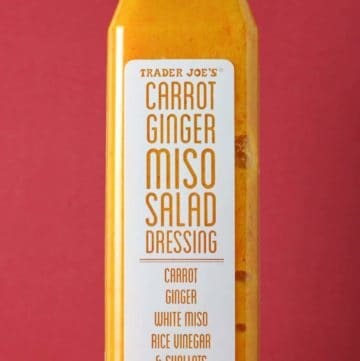 The pros: Trader Joe’s Carrot Ginger Miso Salad Dressing is very similar to the dressing that I’ve had in most Japanese restaurants. This dressing is also vegan. The cons: This is more perishable than regular dressing. 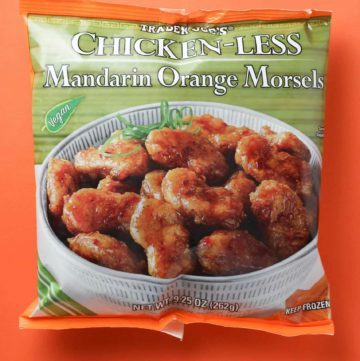 The pros: Trader Joe’s Chickenless Mandarin Orange Morsels has returned to the frozen section. The cons: Does not live up to the previous bag that looks so strangely familiar to this one. Consider this a review 2.0. Unless you are serving this with rice the package of sauce will drown the morsels. 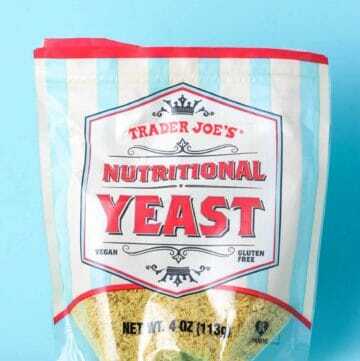 The pros: Trader Joe’s Nutritional Yeast is relatively new and has the vegan community excited. This item is well priced for the size that you get. The cons: If you have never had this or have no idea what to do with it, you might not end up liking it. 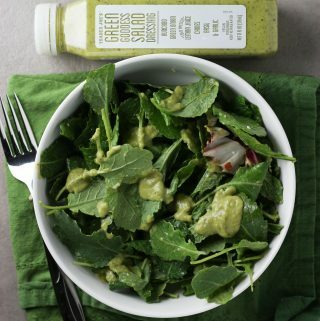 The pros: Trader Joe’s Green Goddess Salad Dressing is one of three new refrigerated dressings. This is very low in calories compared to many bottled dressings. 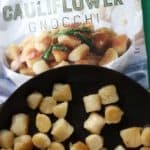 Each serving is 20 calories. The cons: If you are used to a dressing with a mayonnaise base, then this might not cut it for you.